Opiates are drugs which are derived from of poppy plants. Some of the most common and well-known are papaverine, thebaine, morphine, heroin and codeine. Heroin is the most well-known illegal opiate, though the above are also used recreationally and thus illegally when they are used without a prescription. Drugs such as morphine and heroin both have sedative effects and relax the user. Morphine is a medication given for pain. It has the potential to be very dangerous. If too much is taken, a person may slip into a coma or suffer from a depressed respiratory system which can lead to death. Codeine is another pain reliever. It is also known as Tylenol 3. Many of today's popular pain relievers contain Thebaine. Hydrocodone, Oxycodone and Oxymorphone are amongst them. Papaverine can be used to treat a number of ailments including heart spasms and erectile dysfunction. Opiates are used as analgesics. While they can safely be used in the recommended dosages, they can be dangerous if too much is consumed. They may also have side effects. Some of the most common are stomach spasms, low blood-pressure, drowsiness, dependency both physical and psychological and difficulty breathing. One of the most dangerous opiates is heroin. Heroin can cause tolerance and dependency. It has one of the highest rates of death due to overdose. Individuals who use needles to get high from heroin and share them with others are at an increased risk for developing infectious diseases such as HIV and hepatitis. Besides the danger of developing a physical and/or psychological addiction to opiates, the potential of overdose and death is the most dangerous risk associated with this class of drugs. Opiates can be very addicting. Users may build up a tolerance to them if they are used for long periods of time. This tolerance can lead to an addiction. Where are opiates derived from? : Opiates are derived from the poppy plant. Is it dangerous to use opiates with other drugs? : Yes, it can be very dangerous to mix opiates with other drugs, particularly drugs which are central nervous system depressants. 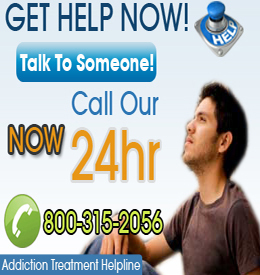 What are the signs of a heroin overdose? : A person who has overdosed on heroin might become extremely drowsy, slip into a coma and stop breathing. A heroin overdose can be lethal. Some opiates are legal. If a person has a prescription for them, they can be legally consumed. It is however, illegal to use medicinal opiates without a prescription. Heroin is one opiate which is illegal and those caught with in it in their possession or distributing it, can face jail time.